The Exmark commercial walk-behind mowers get the work done faster with an unmatched quality of cut and time-tested durability. The handles and control system are designed to make operation easier, more efficient, and less fatiguing. Exmark commercial walk-behind mowers are the ultimate tool for landscape professionals, commercial lawn keepers, and everyone in between. 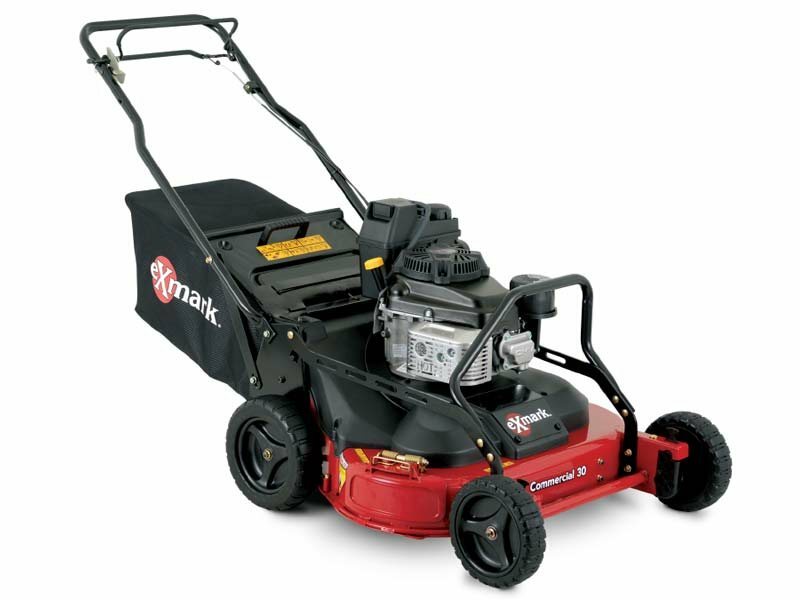 The Commercial 30 mower is deceptively light and easy to maneuver. In fact, it feels and handles much like its Commercial 21 counterparts, incorporating a single-speed transmission and patented front-height adjusters. The major difference: its 30-inch cut delivers up to a 40% increase in cutting efficiency compared to a standard 21-inch mower—without wearing out the machine or its operator.